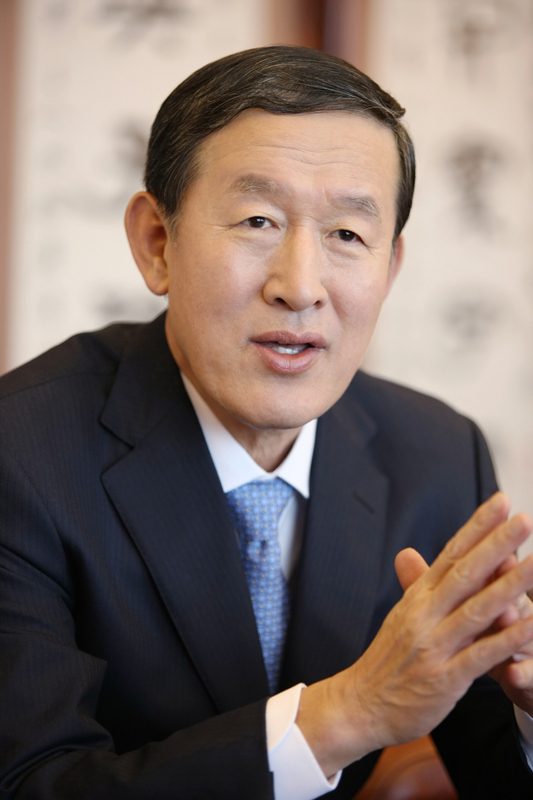 GS Group Chairman Huh Chang-soo shared advice and new business strategies at an executive meeting Wednesday. Amid growing use of artificial intelligence, big data and shared economy, as well as the recent turbulence in South Korea’s corporate world, Huh took on a cautionary stance by encouraging his executives to remember the fundamentals and respond to changes with agility and flexibility. “There are many cases where companies that were once leading the market failed to adjust and eventually disappeared,” he noted. “I advise you to always have an open attitude towards learning, openly question the effectiveness of the company’s business strategies, and internalize new knowledge with our capabilities,” he stressed to the attendees. He also addressed the need to be flexible in strategies by creating an open network with outside experts and startups, and promised to create a flexible corporate culture. By staying alert to the changes, Huh expressed hopes to create more quality jobs and energize the sluggish market.